According to IT specialists reports, the majority of electronic data theft crimes happen due to improper protection of PC systems from the inside. Co-workers and even our spouses can easily recover any bit of information simply by looking at the screen of an unattended machine. Lock My PC acts like a guard on duty, protecting your PC from prying eyes. Try it today for FREE and actually relax! 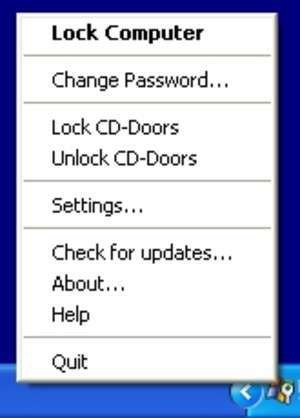 Lock My PC 4.8 is a shareware program and can be used as a demo to try the software until the free trial period has ended. A full version of the program is available after the trial period ends. For security reasons, you should also check out the Lock My PC download at LO4D.com which includes virus and malware tests. Additional screenshots of this application download may be available, too. Lock My PC download been highly rated by our users.